Harde, Baheda, Amla, Jethimadh, Loh BHasma, Honey, Ghee. 1. Nourishes & promotes growth of healthy & luxuriant hair. 2. Leaves hair soft & shiny with more volume & bounce. 3. It is an effective defense against dandruff & hair fall. Henna Leaf, Reetha Fuit, Shikakai Pods, Bhringraj, Khadira Stem, Jatamansi, Japakusum Flower. Dr JRK's Siddha Research & Pharmaceuticals Pvt. Ltd.
Kesini make a gentle nourishing protective hairwash leaving hair bouncing and lustrous. It helps nourishes hair and prevent hair loss. Keeps scalp cool and clean. Adds a mild fragrance to the newly washed hair. 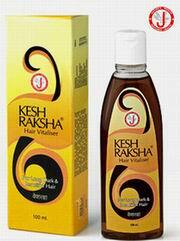 Kesh King shampoo, is the Nutritional Therapy for strong and shiny hair. Nutrich oil, nourishes scalp and revitalizes hair roots, controls falling hair, alopecia and dandruff. Ingredients: Til oil, Coconut oil, Castor oil, Almond oil, Bhringraj, Jatamansi, Brahmi, Nilpushpa, Ratanjyot, Nagarmotha, Triphala, Gunja, Chameli, Dhatura, Heena, Sankhapushpi, Khaskhas, Yashtimadhu, Rasanjan, Ratanjali. Take one tablet twice daily after meals with warm water. Ingredients: Surasa, Vipareetha lajjalu, Dronapushpi, Japa, Mandookparni, Kumari. Indications: It helps to build thick and black hair. Checks dandruff. Stops hair fall and greying of hair. 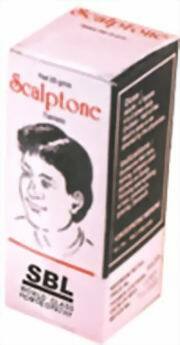 Usage: Apply on scalp and massage well. Wash with cold water after 15-30 minutes preferably using herbal shampoo powder. Reetha, Amla, Bhringraj, Heena, Shikakai, Neem, Jatamansi, Tulsi, Bakuchi, Haldi, Giloy, Ghritkumari, Amba Haldi. Benefits: Useful in dryness and roughness of hair, prevents hair fall and improves hair glow. Apply 2-3 ml on wet hair and wash hair after few minutes. Benefits: 1. Prevents hair fall. 2. Reduces premature greying of hair. 4. Adds luster and bounce to the hair. Sesamum indicum oil, Cocos nucifera, Neem, Bhringaraj, Amalaki, Nilpushpa, Brahmi, Nagarmotha, Jatichetika, Gunja, Dhattura, Yashtimadhu, Varuna, Karanja, Bruhati, Indravaruni . Kukkutandatvak Bhasma, Asthisamhruta, Arjuna, Shuddha Laksha, Amalaki, Ashvagandha, Guduchi, Shuddha Guggulu (Dashmoola Shodit), Bala, Baboola kwatha. Osteoporosis (especially related to old age and menopause), non-healing fractures. Calcium deficiency during pregnancy, lactation and hair fall. Balchhar, Zaranbad, Amla Sabz, Bhangra Sabz, Roghan Kunjad, Mehndi Sabz. Shankhpushpi, Brahmi, Harde, Bakan Limdo, Khus Vado, Tagar, Dhana, Satavari, Nagarmoth, Gulab, Elachi, Chadila, Jatamansi, Ardusa, Devdar, Anantmul, Vaj, Yashti Madhu, Arjun, Kapur Kachri, Agar, Nilbhrungandi Oil, Lemon Oil, Cedarwood Oil, Almond Oil, Jasmine Oil, Malkangani Oil, Brahmi Oil, Til Oil, Sarsav Oil, Wheat Germ Oil, Coconut Oil.